The 2018 edition of The Striped Horse Challenge closed its doors last year on December 31st. Since then the SA surf community has been left in limbo, as we wait for the judges to make their call on who comes out on top, walking away with bragging rights and pockets packed fulla cash! 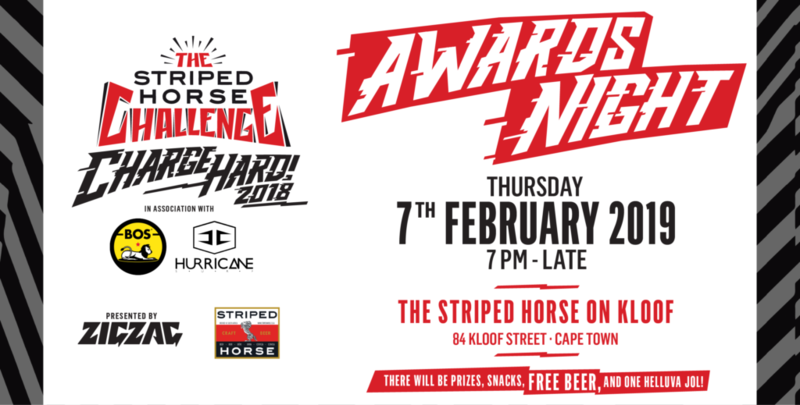 Well, pull into the Striped Horse, 84 Kloof Street, next Thursday the 7th of Feb and join us as we celebrate 2018’s best waves and those who went full send! And of course, those who made it all possible behind the lens. Yeah, it sounds like your kind of scene, doesn’t it! Then quit stalling and pencil this one into your schedule cuzzy. Still not convinced? 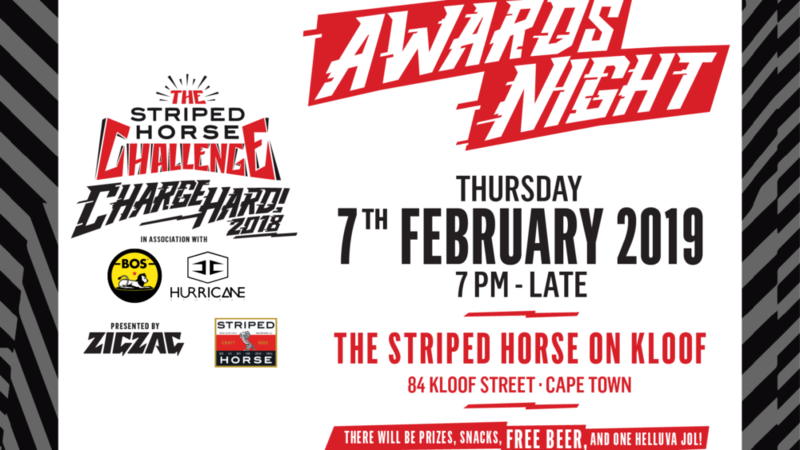 How’s this for some extra motivation, there will be prizes, snacks and everyone’s favourite beer COLD & FREE Striped Horse not to mention one helluva skit for a memorable first Thursday!